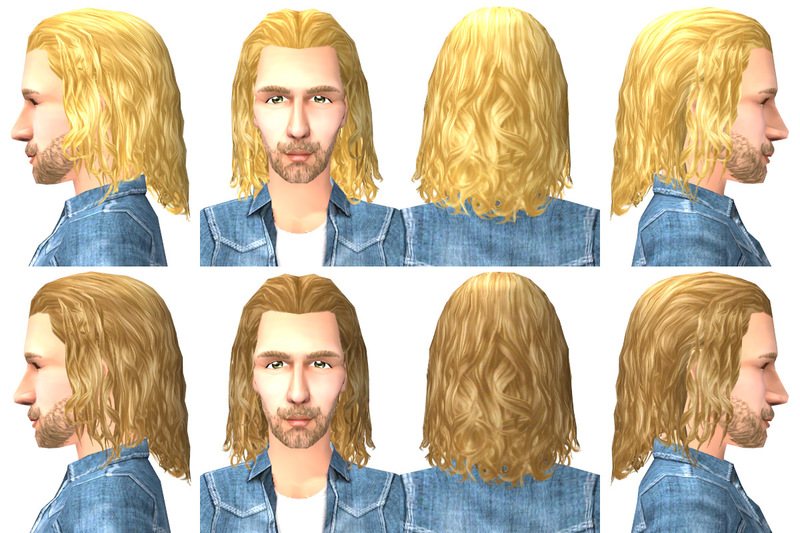 Here's a slightly fluffier version of some hair that came with the Mansion & Garden Stuff Pack. All I did was widen it a bit. It comes in the original Maxis colours plus a darker brown, blond, and red. Mansion & Garden stuff is NOT required. Feel free to convert for more ages or females or make defaults or whatever. And if you do any of that please let me know so I can link to it! MESH to replace the M&G hair mesh with this fluffier one. Only replaces the adult, young adult, and elder hair. Other ages are unaffected. Recolours of the M&G hair mesh in my darker brown, blond, and red. 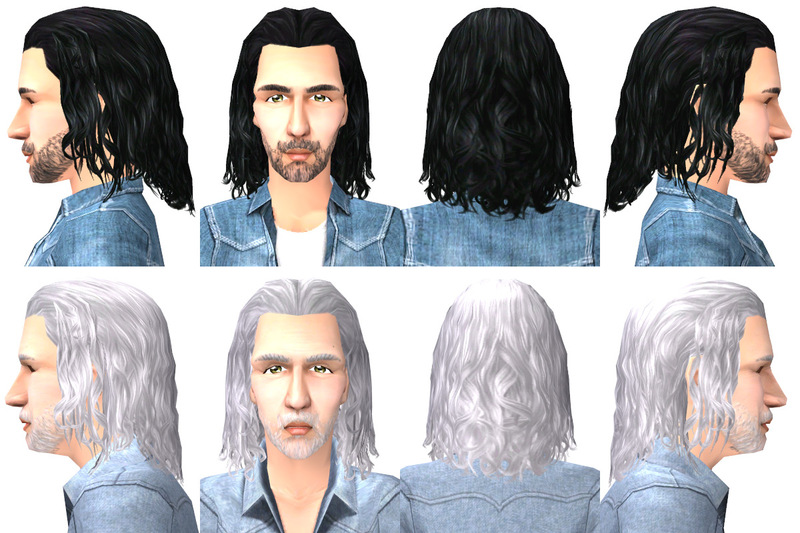 This will add recolours for the hair whether or not you use the default-replacement mesh. 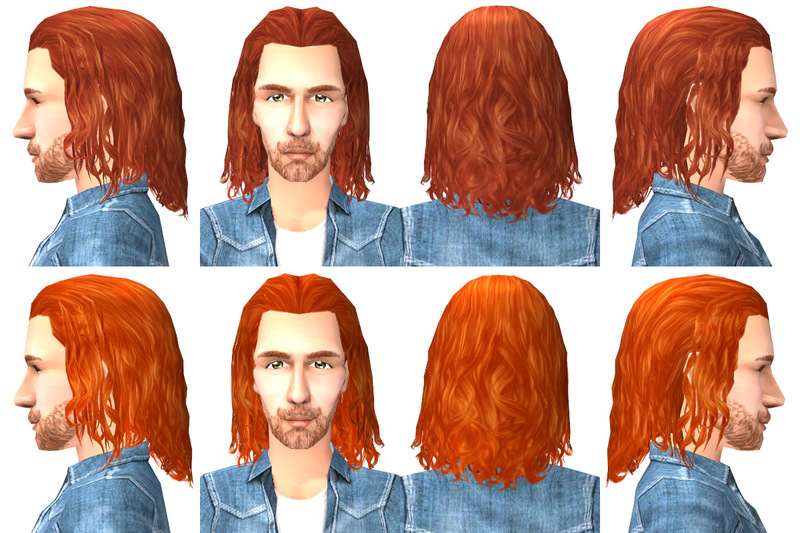 If you don't use the default-replacement mesh it will just recolour the original flat M&G hair. Default-replacement black hair. I had changed the black a teeny bit in my original upload because the Maxis black looked too dark to me. So here's a default-replacement version of my slightly lighter black. This will change the colour of the black M&G hair whether or not you use the default-replacement mesh. 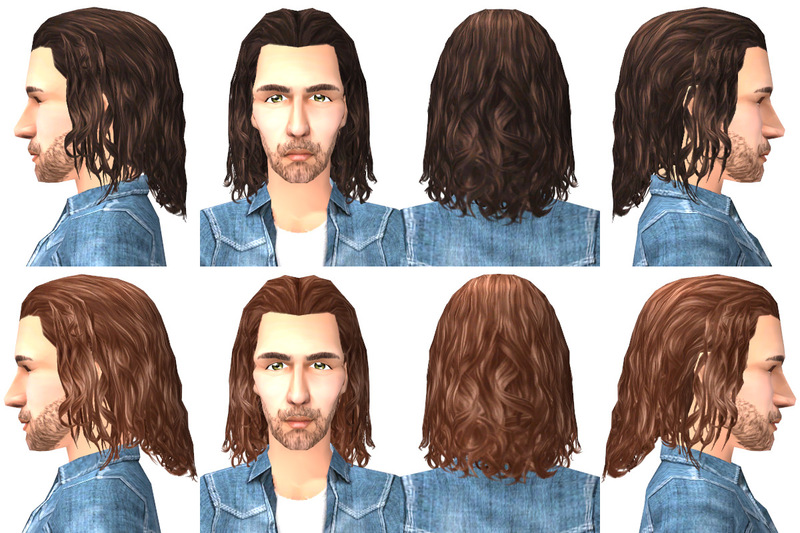 If you don't use the default-replacement mesh it will lighten the original flat M&G hair.